THE ‘BERLIN YEARS’ of David Bowie’s wide-ranging pop/rock career are amongst the most memorable – a source of fascination and inspiration to musicians, including composers and instrumentalists from other genres. In the mid-to-late ’70s, Bowie had turned his attentions to a more minimalistic/ambient output, influenced by a move to West Berlin and stemming from his interest in postmodernist contemporary art. The recorded legacy of that period centres around two (some say three) seminal albums – Low and Heroes, both from 1977 – produced by Tony Visconti and including celebrated rock experimentalists Brian Eno and Robert Fripp. Two decades on, leading American contemporary composer – and friend of Bowie – Philip Glass reimagined both projects as stunning orchestral symphonies which highlighted the far-reaching creative possibilities of these iconic compositions. 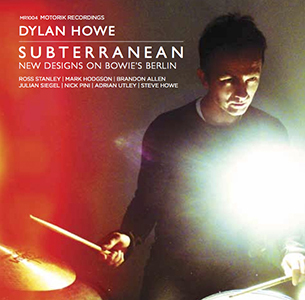 Now, as a fan of Bowie’s original recordings from his teenage years, and seeking a more original and personal direction for his own work, British rock and jazz drummer Dylan Howe has translated the ‘call’ of that ‘Berlin era’ into a remarkable new studio release, Subterraneans, mainly interpreting the instrumental aspects of this pair of albums. Created over a period of several years, and realised thanks to a successful Kickstarter campaign, the accomplished personnel comprises Julian Siegel and Brandon Allen (tenor sax), Ross Stanley (piano, synths) and Mark Hodgson (double bass) along with appearances from bassist Nick Pini, guitarist Adrian Utley and special guest on koto, Dylan’s father (needing no introduction to Yes fans! ), Steve Howe. The landscape of the project is broadly filmic, encompassing prog/synth rock and post-bop jazz; and whilst initially slow burning, it progresses and expands into an imaginatively colourful fusion of both. So, opening track Subterraneans maintains the shifting synth profile of the Low original, but ticks perhaps more optimistically to Howe’s snare/cymbal rhythm and the subtle explorations of piano and sax. Weeping Wall encourages a greater jazz quintet presence and momentum, Howe prominent at the kit against Vangelis-like electronics; and the extended All Saints (a later Bowie creation), opening with the expressive bass of Mark Hodgson, leaps into a wide piano-driven jazz swing, Brandon Allen taking the wonderfully hard, dry Coltrane-esque tenor solos (sinister synth whinings hovering behind). 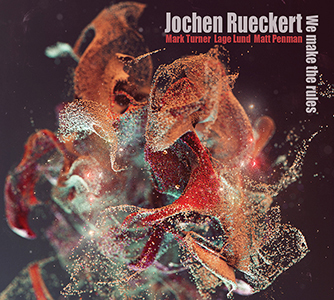 Some Are smoulders like some late ’60s TV thriller theme, leading to the similar drama of Neuköln – Night (from Heroes) – this time, an effective, fast-paced reworking in which Howe’s drums and Stanley’s piano skitter to the ebullition of Nick Pini’s bass. Howe takes Art Decade to another place, its ambient Eno-like qualities evident, but shimmering as a sensuously-felt, droplet-piano ballad. Warszawa – in Bowie’s hands, sombre and menacing – becomes sprightly and dance-like to Dylan Howe’s touch. Whilst such a transformation might sound crass or insensitive, it is in fact surprisingly successful; tempered with unsettling moments characterised by Adrian Utley’s echoic guitar, the jazz groove which ultimately dominates these eleven minutes is joyful in its synth-infused abandon. Neuköln – Day picks up on the earlier Night theme; here, a darker variation – and my futile, self-indulgent desire at this point anticipates a crashing Sound Chaser-like injection from master guitarist Steve Howe! But no fear – Mr Howe (Senior) takes up the koto embellishments of serene Moss Garden to close the set. Released on 7 July 2014, Dylan Howe will be touring Subterranean in the UK from 5 September (see dates below). Whether or not Bowie runs through your veins, it’s worth investigating at Bandcamp (download/CD/vinyl) – and endorsed enthusiastically by davidbowie.com and the great man himself. BRIMMING with intelligent and zesty exploration, this second release from the Nick Malcolm Quartet (plus guest Corey Mwamba) charts a truly absorbing path ‘twixt the written and the free, between rhythmic intensity and spacial tranquillity, sparking and igniting the deep creativity of the varied individual characters within a remarkable jazz blend. Trumpeter and composer Nick Malcolm clearly has an eclectic musical persona, as well as a multi-faceted style, often found belting out riffs (along with drummer Mark Whitlam, also of this quartet) between the dusky, enigmatic vocals of Emily Wright’s song-based Moonlight Saving Time. Put into this particular mix experimental jazz pianist Alexander Hawkins (whose solo and ensemble album releases created ripples of excitement earlier this year) plus the inspired, improvisatory bass playing of Olie Brice… and the result is a sophisticated quartet/quintet team capable of a satisfyingly original collaborative output. 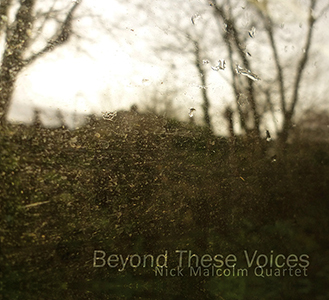 Beyond These Voices follows the band’s 2012 début, Glimmers, and explores, intentionally and quite beautifully, an equal appreciation of sound and silence (which Malcolm describes as “the essential paradox of music”). Take, for example, Grimes, an eight-minute improvisation which opens with brash and brassy intent, Malcolm bouncing off Whitlam’s wide-open drums before the steadying undercurrent of Hawkins’ lush, deep chords and Brice’s bass enter, only to develop more strongly. The contrast between the two forms is marked, yet the whole combined concept is realised perfectly. And then the ‘silence’ – the most limpid and emotionally-charged high piano extemporisation, with space taking equal importance, plus an affirming, sustained bass. There’s Lead In Their Pencils is great fun – a kind of dissonant Ellington boogie in which Malcolm blasts and neighs his way through the pulsating, rhythmic chaos, Corey Mwamba’s sparky, hard vibes adding vivid colour. Views takes a gentler back seat, although this is no straight-laced ballad. Malcolm’s tone is lazily mellow, peppered with the occasional flutter, and the precise vibraphone playing of Mwamba is a joy. The shuffling momentum of A Very Blusterous Day, upheld magnificently by Whitlam and Brice, offers a broad canvas for the written and improvised thoughts of Malcolm and Hawkins, with Mwamba offering again his distinctive approach to vibes, eddying and gyrating (like a supercharged Pierre Moerlen) to the shimmerings of Hawkins’ piano – and an orchestral, Brittenesque trumpet flourish to close. It’s Alright, We’re Going to the Zoo is a cheeky, smouldering, fizzing affair, Malcolm improvising freely and brightly against Brice’s bass bounce; Sidereal (the album opener) develops and opens out to display more of that spontaneous quartet interaction, whilst the the two free improvisations that punctuate the programme further reveal their insightful and creative abilities. To close, something quite affecting… Where, Beyond These Voices, There is Peace. Prompted by Alexander Hawkins’ quiet then increasingly anguished piano chords, the trumpet of Nick Malcolm chatters and squawks to the bowed scratchings of Brice and tempered percussion of Whitlam. And, for a final magical minute, Hawkins almost completely suspends animation with characteristic piano weightlessness. If you’re searching for new experiences, and the fascination of free-yet-accessible improvisation, Beyond These Voices demonstrates the heights that British jazz is currently achieving – and this is certainly a ‘grower’ of an album. Most impressive. WHEN A DEBUT ALBUM sounds this good (correction: this spectacular), you simply cannot ignore it! 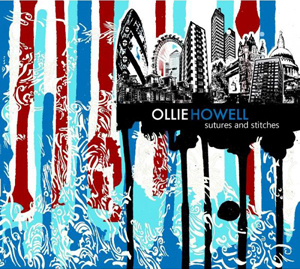 Relatively new to British and international jazz audiences, drummer and composer Ollie Howell’s first release comes as something of a revelation. The initially curious title, ‘Sutures and Stitches’, soon becomes clear as Howell openly shares his recent history of numerous neurosurgeries and, importantly, his determination to take the positive from these experiences and channel them musically. 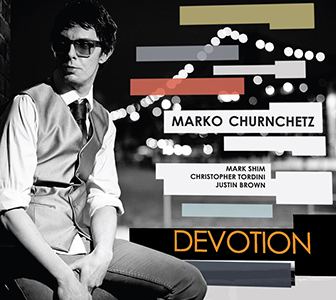 Indeed, this collection of self-penned post-bop originals (plus an arrangement of Dear Old Stockholm) is a remarkably confident and mature first release, boasting a strong personnel: Mark Perry (trumpet), Duncan Eagles (tenor sax), Max Luthert (double bass) and Matt Robinson (piano). With endorsements from renowned drummer Jimmy Cobb (“He’s loaded with talent!”) and music legend Quincy Jones (describing Howell as “an unbelievable drummer. So creative I couldn’t believe it. This kid is a 360-degree beautiful young cat that I believe has what it takes to make a life out of music.”), this is surely a great curtain-raiser to a glittering career to come. Later On opens the album with aplomb, Howell instantly displaying his crisp and direct attention to compositional and drumming detail, Robinson hitting the advance button for Perry and Eagles to take flight with characteristic shared brilliance. There’s a cordial spirit to the lively Beyond, its opening unison melody feeling welcomingly familiar, soon stepping up a gear for a terrific tenor solo, Robinson’s accomplished piano then driving on and on to a cross-rhythmical hand-clap/percussion conclusion. Short solo intros from each band member precede five of the tracks – not mere fillers, but concise lead-ins to the pieces which follow, beginning with Howell himself on rapid, perfectly-tuned toms, ahead of So Close, So Far. With its finely-balanced sound, and possible imaginings of a big band arrangement, Perry’s assured flutter-tongueing blazes high above the tight ensemble accompaniment. Lively miniature, Angry Skies, leads to Perry’s melancholy trumpet intro to 19th Day, a wistful tune beautifully carried by Eagles’ rich tenor, partnering with Perry to great effect. At almost nine minutes, A World Apart is a great centrepiece to showcase the raw, combined talent of this quintet – Howell skilfully directs the band to reach for that higher rhythmic, melodic and improvisational plane… result: success! Max Luthert’s sonorous bass intro to For Anya is a worthy preamble to its delicate bass- and piano-led dedication. They finds Ollie Howell on fine form, bringing shape to Perry’s and Eagles’ searching solos, Luthert again with a lyrical bass addition. Eagles’ brief sax intro takes us into the gorgeously introspective Two Sides, tenor and piano creating between them such an appealing dialogue. Traditional tune Dear Old Stockholm receives a feisty arrangement, all players pushing at its animated energy. Howell’s drum display is so dynamic, so exact, whilst Robinson and Luthert perpetuate the heady groove. Finally, a particularly limpid piano intro leads to A Hollow Victory, Eagles’ and Perry’s unanimous melody giving way to their own thoughtful solos – a gentler, considered finale to a superbly creative and rounded album. Released by Whirlwind on 23 September 2013, Howell is touring ‘Sutures and Stitches’ until 3 December – and one can imagine (or, better still, experience) live pyrotechnics of the highest order! Details and samples here.